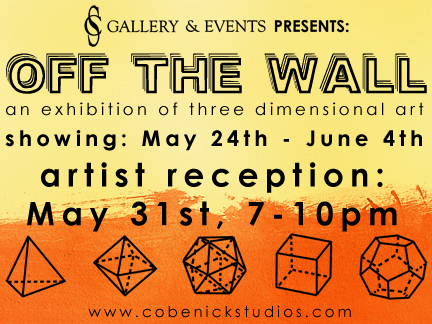 Off the Wall – A 3-D Exhibition! We are trying something new! This will be our first all 3-D show!! Come check out these Awesome installations and sculptures! !